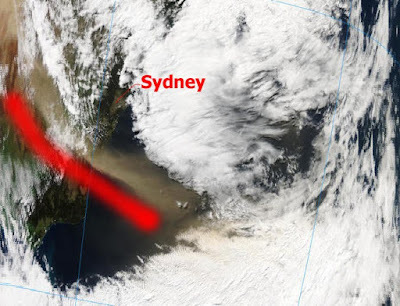 Today the biggest item on the news is a dust storm over Sydney. Visibility was reduced almost to 0 as a big cloud of red dust totally blanketed the city. I have compiled a short list of videos from YouTube so you can get the feel for what it was like… Sydney dust storm captured on videos.